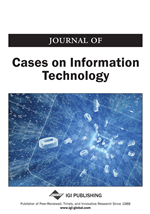 This case study documents an organizational change intervention concerning the implementation of a novel information technology at a university-owned research foundation (URF). It evidences the disparate expectations and reactions by key actors toward the change event, marking a mismatch between a new paradigm required by the new technology and existing information technology practices. Drawing upon change management and management information systems (MIS) literature, we discuss the perceived change management issues hindering the change process at URF. Our discussion is tempered by a theoretical lens that attempts to integrate the literature bases drawn upon in this research. In particular, resistance from in-house IT specialists was observed as the strongest force obstructing the novel IT implementation. This study offers a forum to stimulate both researchers and practitioners to rethink the necessary elements required to enact change, especially with respect to novel IT implementations.